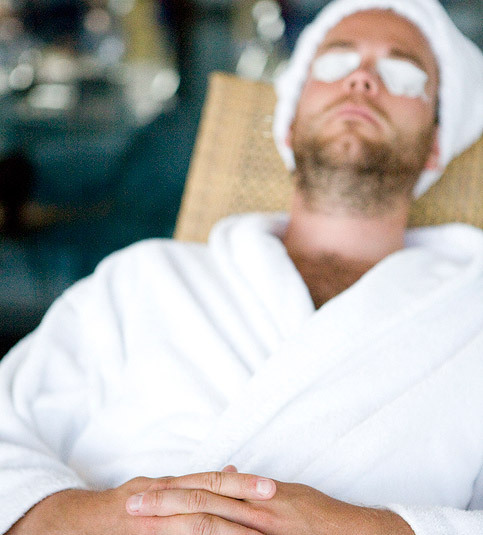 Day spa visitors or hotel guests can book treatments for an additional charge. We advise you to book treatments in plenty of time as they are very popular. Treatments can sometimes be booked on arrival, but not as a rule. Your booked treatment appointment will be confirmed in a separate booking confirmation from us, and is then deemed binding. Cancellations within 24 hours of the booked appointment will be charged for in full. Please note that e-mail discussions or completion of the form below requesting appointment times do not constitute automatic confirmation. We always endeavour to accommodate any requests to the best of our ability. Advance planning increases the chance of you being able to book a treatment, preferably the treatment or massage you want. Please arrive for your treatment in good time. Unfortunately, we are unable to extend your appointment, which means that treatments have to be performed during the remaining time in the event of late arrival. You can register and pay at the spa reception 15 minutes before your treatment is due to begin. If you are staying at the hotel, we can charge the treatment to your room, in which case you pay for your treatment when you come to check out. If you are pregnant, have a medical condition or are taking any medication, please let us know when booking a treatment, so that we can provide the right recommendations and have everything ready before your arrival. During the treatment we recommend that you wear underwear or dry swimwear. Loyalty card – you get a stamp for every SEK 500 you spend on treatments or products. Collect 12 stamps to earn a reward you can use towards treatments or products. Ask at the spa reception. If you have any questions or comments, please send us an e-mail at spa@ysb.se or call us on +46 (0)411-136 33.